There’s no question that you need to have and maintain a functional website to remain relevant and competitive in the business world. Current and potential customers navigate to your site for a reason, and you need to know what they’re looking for if you want to convert. A poorly designed or executed website can potentially cost you thousands of dollars in lost revenue. 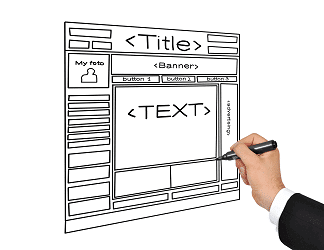 Avoid these seven common mistakes small business owners make with their website design. Flashy designs are meant to be left in the last decade. The goal of a website now is to market your business. Your site should be appealing, but also cater to your viewers and make it easy for them to find what they came for. What is your goal for pushing people to your site? Identify if you want to educate them, urge them to subscribe to your newsletter, contact you for a quote, or encourage them to make a purchase. Atlanta website companies know a clear call to action provides guidance once a viewer arrives on your site. You need a website, but throwing something up without careful planning is a recipe for disaster. Ensure your site design resonates with your target market, such as using larger fonts for older viewers or focusing on mobile compliance for the younger generation. If you don’t update or add content to your site, why should customers come back? It’s essential to keep information about pricing, products, and other business aspects up-to-date at all times. Update your blog at least weekly to stay relevant in search engine results. It’s tempting to cut costs and design your site, but if you have no experience, you might discover that the appeal of your site is lacking. Don’t waste your first impression by cutting corners. You can’t possibly satisfy everyone on the Internet. You must create your site primarily for your target market. Trying to appeal to everyone is a recipe for failure. The cheapest option isn’t always the smartest decision, and neither is the most expensive. Evaluate samples from prospective designers and find a middle-ground between price and quality. The focus should be on how the designer can fulfill your needs.